1. Utilizes far infrared ray electrothermal film to produce heat, safe and reliable. 2. Temperature in the sauna box could reach 60 to utmost, thus makes people sweat a great deal in short time. 3. Could be assembled and disassembled so that occupies little space after folding, the attached carrying bag make it convenient for you to store after use. 4. 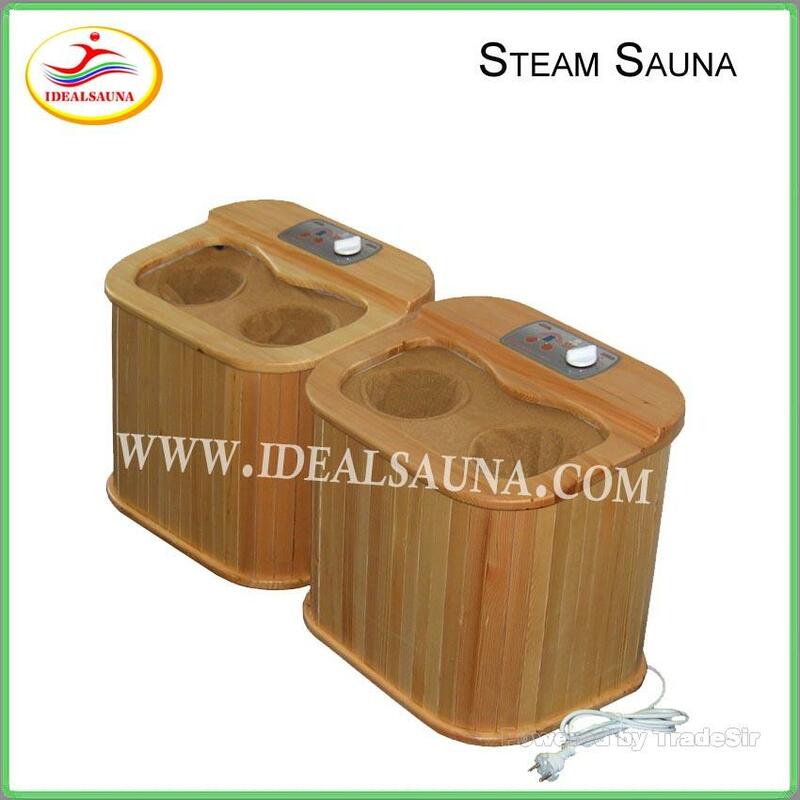 Special design allows you to choose a bodily sauna bath or a half-body sauna bath. 5. Adaptable to be used in beauty salon, and also suitable for personal family use. 6. The bottom pad also utilizes far infrared ray electrothermal film in order to let your back come into contact with FIR heat directly, moreover, temperature of it could be adjusted. 7. Light-weight design of which only weighs 13 kg.